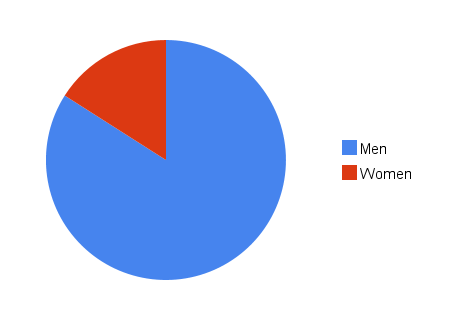 I just learned that there are 5.26 men for each woman where I work. This is not the average for the whole company, just for the building I’m at. For the whole company the numbers are slightly (but not much) more balanced. Keep in mind that I work in the Research and Development building. No HR, no Sales, almost no Marketing where I am. Draw your own conclusions. My conclusion: there is still a long way to go on the road to equality in science and engineering. There used to be 3 women per guy before you got there… you scared them all! Can’t say that I’m complaining…..